Chardonnay is the world’s most popular and important grape for producing white wine, as well as Champagne, sparkling wine and dessert wine. Today, there are 34 different clones of Chardonnay. But where did Chardonnay come from? Recent DNA research conducted at UC Davis, California concluded Chardonnay is the result of a cross between Pinot Noir, Pinot Blanc and Gouais Blanc. Very little Gouais Blanc vines remain. Most of the remaining vines are found in Germany. Experts are not sure when or where the crossbreeding took place. It probably happened centuries ago. It is very likely that the Romans planted Gouais Blanc on French soils in areas where Pinot Noir was planted as well. From that point on, nature took its course. Chardonnay is the world’s most popular grape for white wine. In fact, Chardonnay is also the 5th most widely planted grape variety in the world. One taste of a great Chardonnay and it’s easy to see why. In fact, Chardonnay is now so popular, the grape has its own holiday, International Chardonnay Day is celebrated every May 21! Chardonnay is light green in color and gracefully adapts to a divergent array of terroir. While France is the grape’s spiritual home, especially in the various Burgundy appellations, it also produces high quality wine in America, New Zealand, Australia, South Africa, Italy and numerous other countries. In America, it is grown in numerous states from coast to coast. Its greatest success is in northern California in the Sonoma Coast appellations followed by the Central Coastal regions. In Sonoma, Marcassin and Aubert are currently the two benchmark producers of the variety. Several other winemakers are producing Chardonnay that are almost at the same level of quality. In Burgundy, there are too many great producers to list. The best White Burgundy comes from the Montrachet and Corton-Charlemagne appellations. While Chardonnay can produce quality fruit in a variety of terroirs, soils and climates, the best expression for Chardonnay grapes comes from soils with high concentrations of chalk, clay and limestone. All three of those soil types dominate the best terroir of Burgundy. 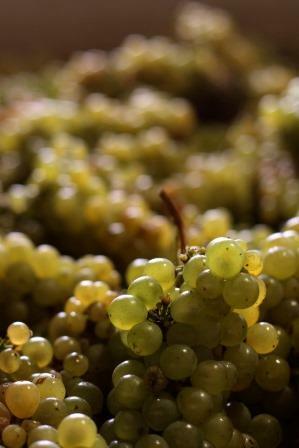 Most of the time, Chardonnay grapes are used to produce 100% Chardonnay wines. However, as the grape is versatile, it is used as a blending grape from time to time as well. Chardonnay is an easy wine for wine and food pairings. Because Chardonnay comes in a wide variety of styles, with different textures, levels of sweetness and acidity, there is an equally diverse array of wine and food pairings that work with Chardonnay. All types of seafood from shell fish, to grilled fish is the perfect place to start. Chardonnay can be perfectly paired with a myriad of raw seafood dishes. Seafood simply cooked, braised or buttered, sushi, sashimi are all great with Chardonnay. The richness of Chardonnay copes well with lobster, crab and other fatty fishes. Chicken, veal, pork are all good pairings with Chardonnay. Due to the natural acidity in Chardonnay, it makes a perfect pairing with a wide variety of hard and soft, or even creamy cheeses as well. Many tasters agree, Chardonnay produces its best expression and finest wines when planted in the best Burgundy soil. However, today, many wine lovers no longer buy the White Burgundy wines, due to a problem that became apparent after the 1995 vintage. “Premox,” short for pre oxygenated Burgundy has ruined millions of bottles of white Burgundy wine. The exact source of the problem has not been pinpointed. Experts and wine lovers do not agree Answers range from low sulphur dioxide levels, corks, high yields, over production to batonnage, a stirring of the lees. While other causes are mentioned as well, problems with corks is cited more often than not. Regardless of the cause, fear of bottles going bad has damaged the reputation of the wines. Chardonnay is an easy fruit to cultivate. It adapts and ripens in a myriad of different terroirs. One of the reasons the grape gained mass popularity is its ease in reflecting the area where it is grown. Choices made by grower and winemaker easily exert their influence as well, which allows for a wide variety of stylistic differences with the varietal. These choices range from when to pick, the level of sugar in the fruit, the length of time and temperature used during fermentation, malolactic fermentation and how much oak was used, (if any) to age the wine. These are only a few of the choices a winemaker needs to make. In 2013, Clos Dubreuil became the first chateau to produce a 100% Chardonnay wine in Bordeaux. The wine is being sold as a Vin de France, because the grape is not allowed to be planted in Bordeaux by AOC law. This wide range of choices allows for countless styles of wine produced from Chardonnay ranging from flavors of green apples, pears, smoke, citrus, rocky and mineral driven, steely or tropical honeyed fruit in nature. The range of wine styles for Chardonnay comes first and foremost from the terroir the grape is planted in. But it’s more complicated than that. The type of vessel used for vinification and aging plays a major role in the development of the character and style of Chardonnay. For example, rich, buttery styles comes from grapes aged and fermented in French oak barrels. Chardonnay with vanilla notes were aged in a large percentage of new, French oak barrels. Stony, more steely, crisp styles of wine usually come from grapes that were aged and vinified in stainless steel. Chardonnay is the most popular white wine from California. The grape produces a myriad of different wine styles that range from austere and steely, to fat, rich and buttery to mineral driven wines that compete with many of the best white Burgundy wines. The best Chardonnay in California comes from Sonoma, mostly in the Russian River area. Some of the top producers from that appellation include Marcassin, Kistler, Aubert, Rochioli, Peter Michael and Ramey. Chardonnay is also enjoying great success in the Central Coast and Santa Barbara appellations. Brewer Clifton, Melleville, Bonaccorsi and Au Bon Climat are a few of the better estates making Chardonnay in the Central Coast of California. Chardonnay is also widely planted in Oregon and Washington state where its popularity has pushed it to the second most popular grape in the state.